Did the Red Sox pack on the pounds? During the Red Sox' September collapse and its aftermath, the conditioning of some players was called into question several times, first by a national baseball reporter and later during the departure of manager Terry Francona. 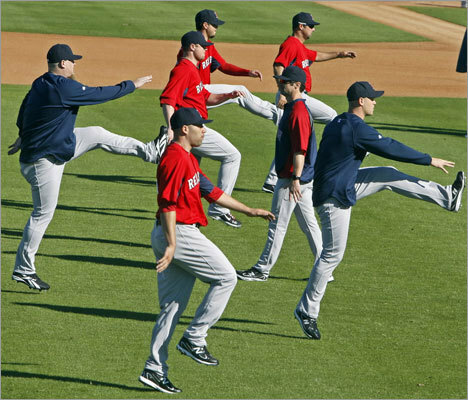 Reports of pitchers drinking beer, eating fried chicken and playing video games in the clubhouse during game fueled the debate, which became public only months after several boasted in spring training of their fitness level. Take a look at side-by-side photos of some of the players in question and make your own judgment.